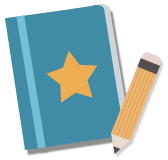 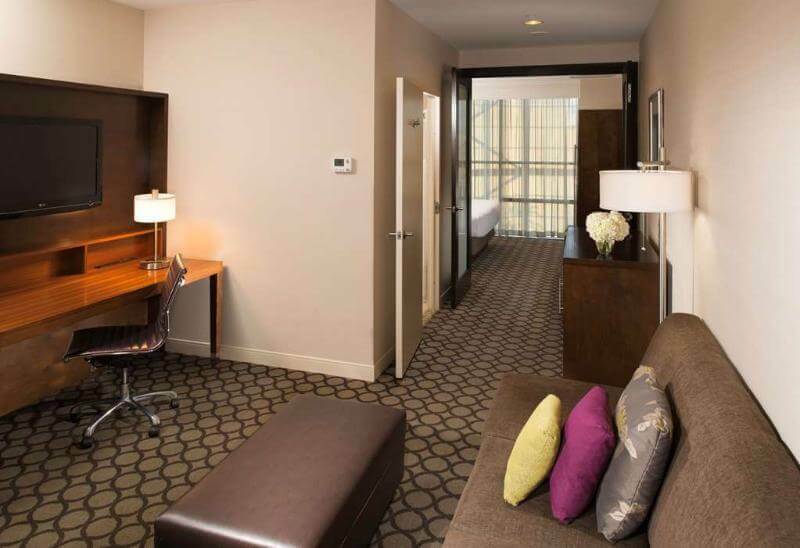 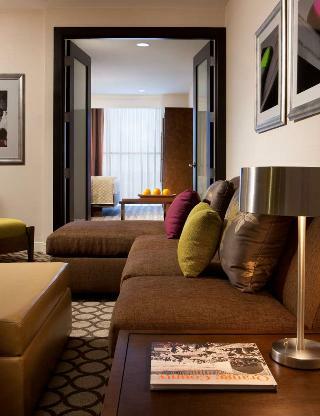 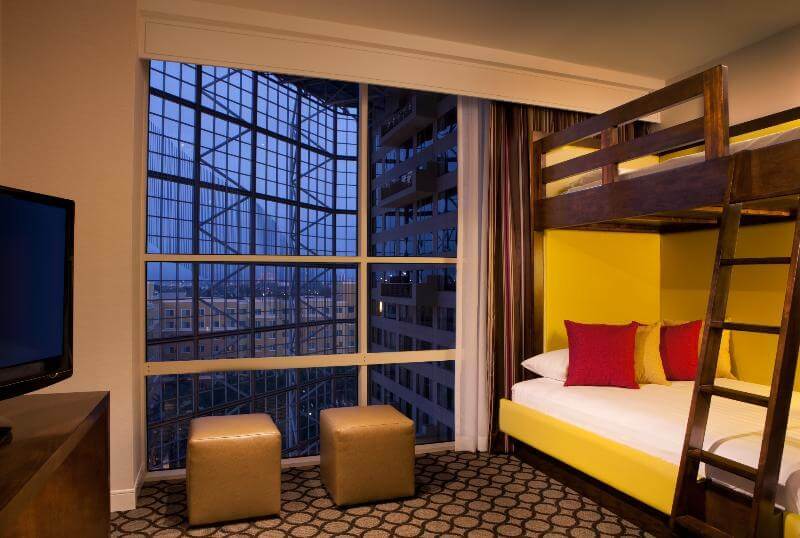 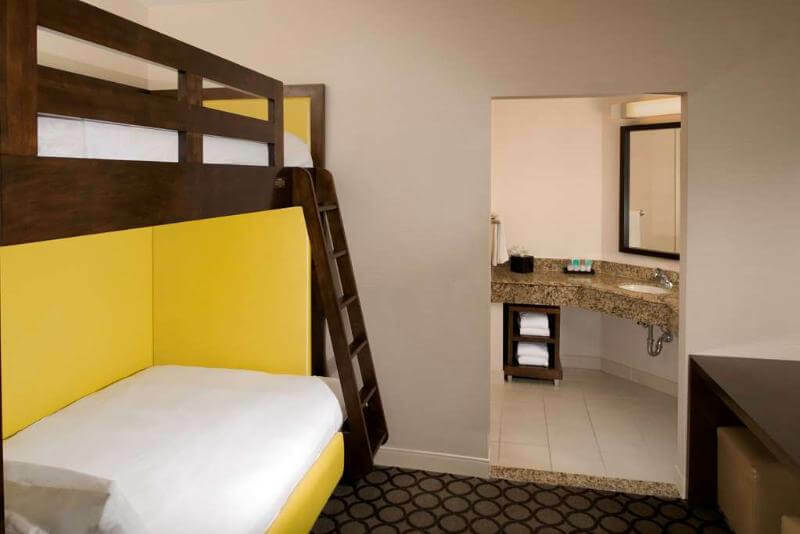 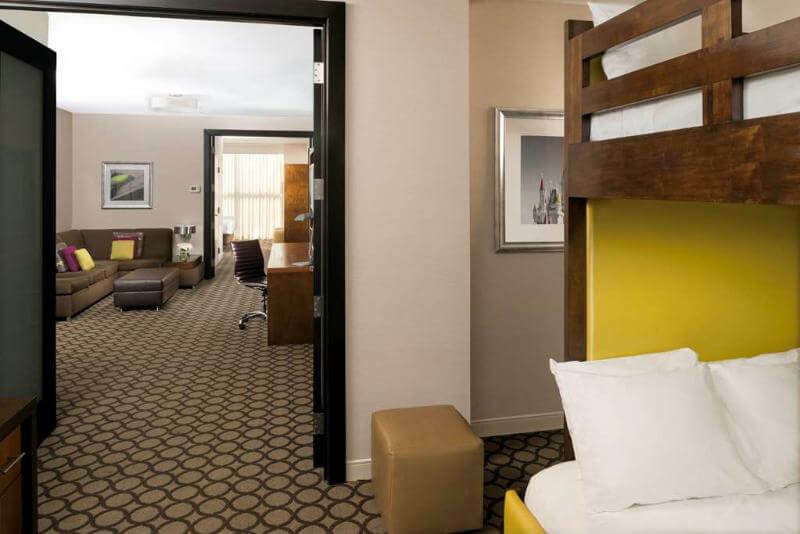 Family-friendly rooms and suites – some have bunk beds! 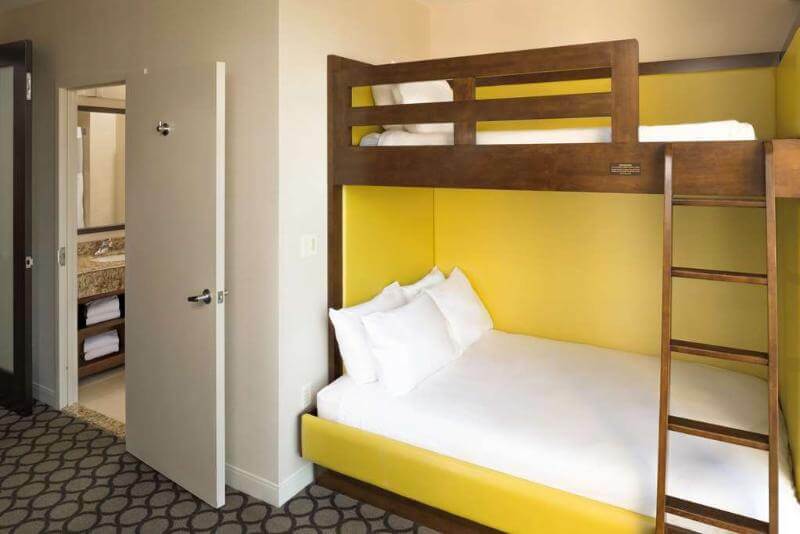 Consider booking a family suite - kids will love the bunk beds! 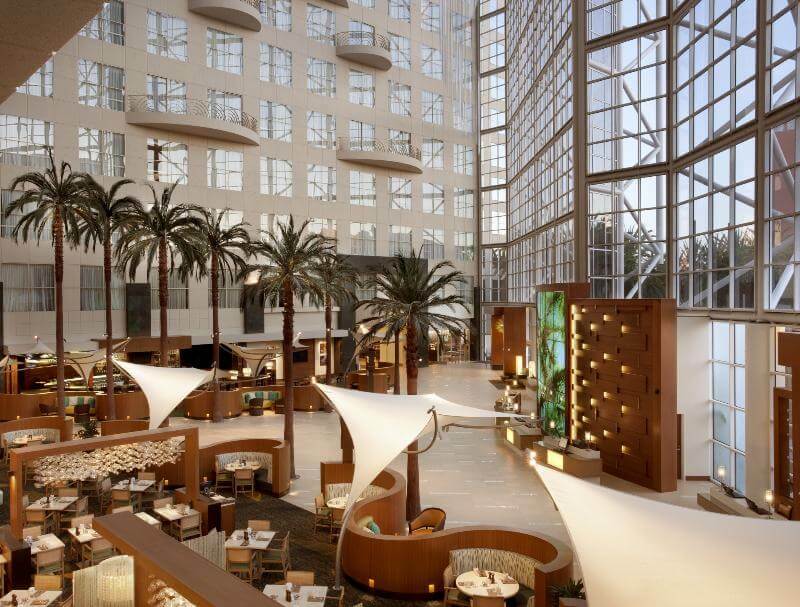 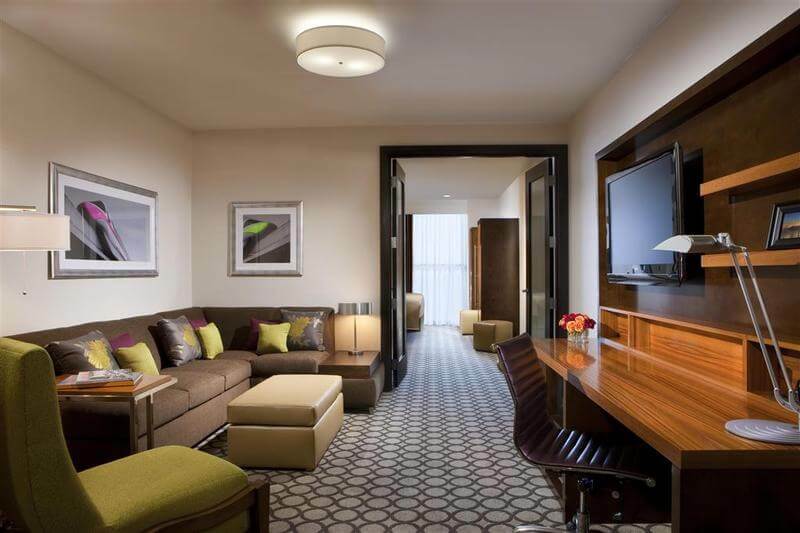 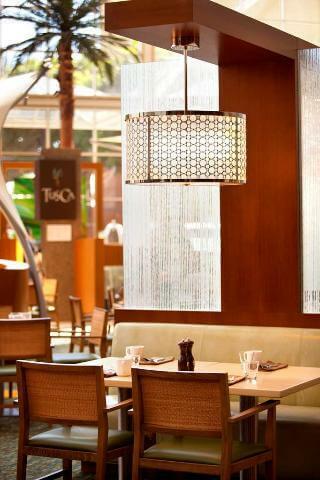 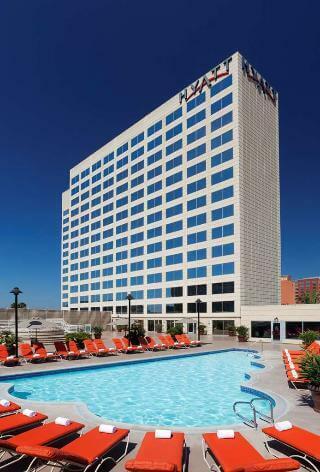 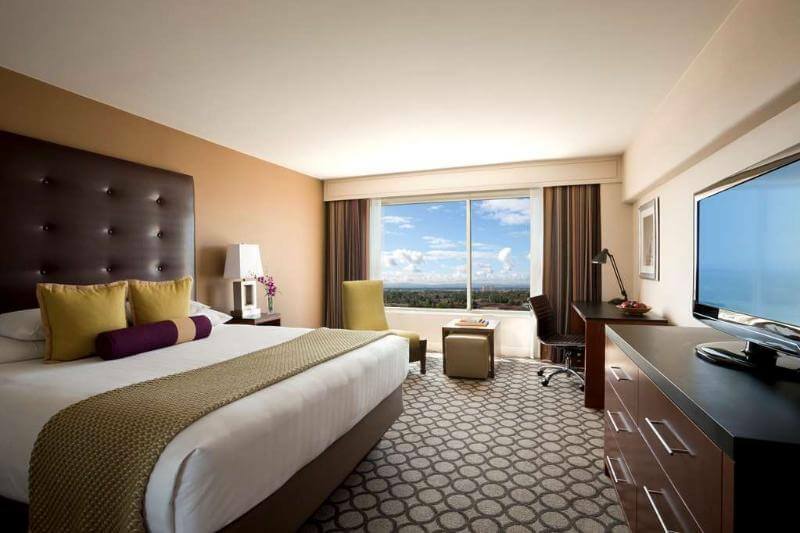 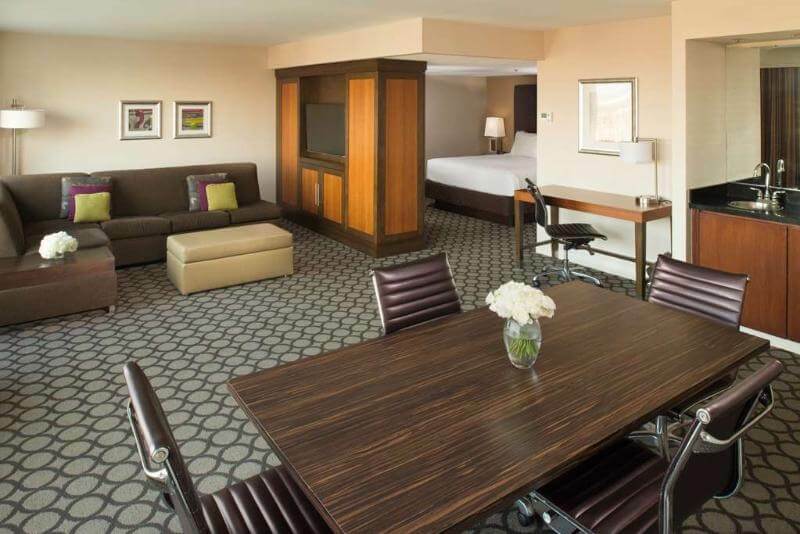 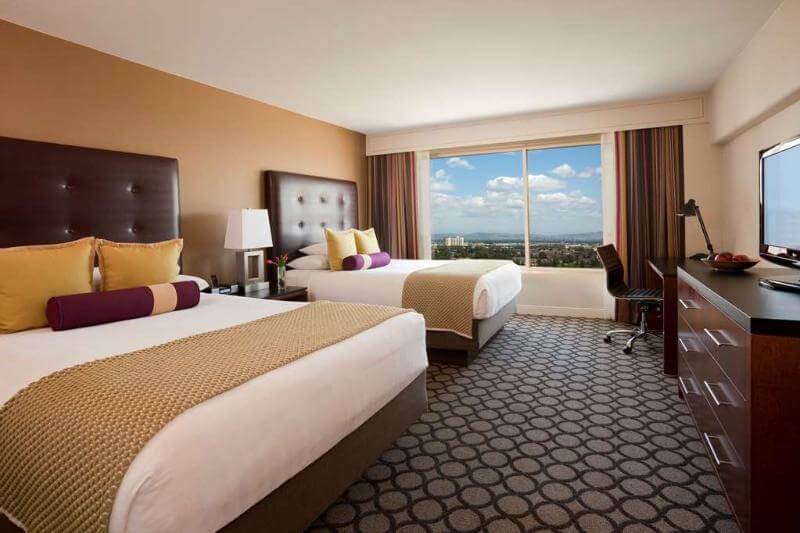 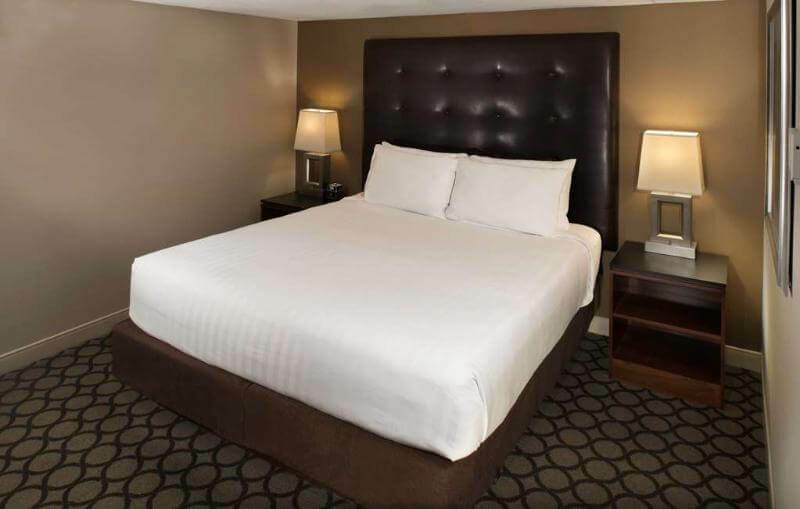 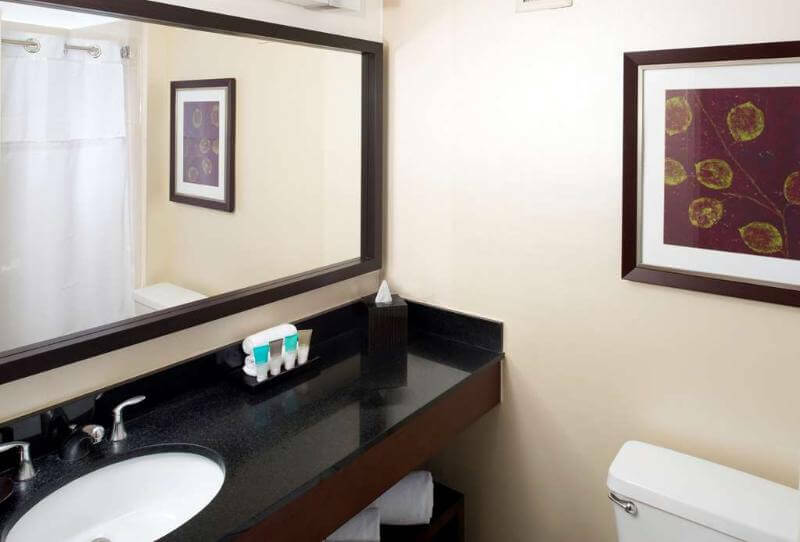 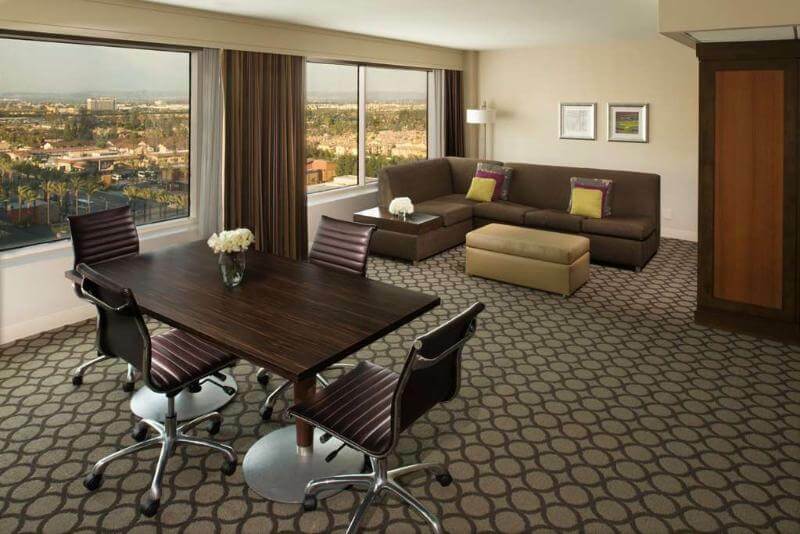 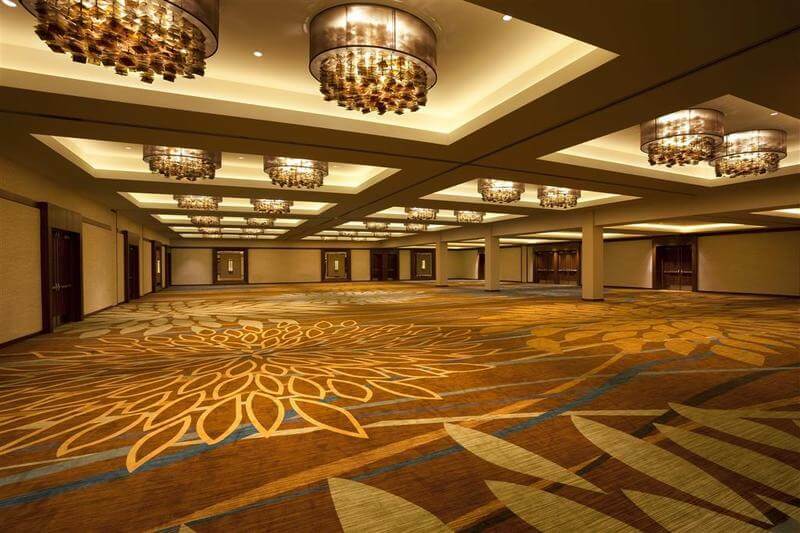 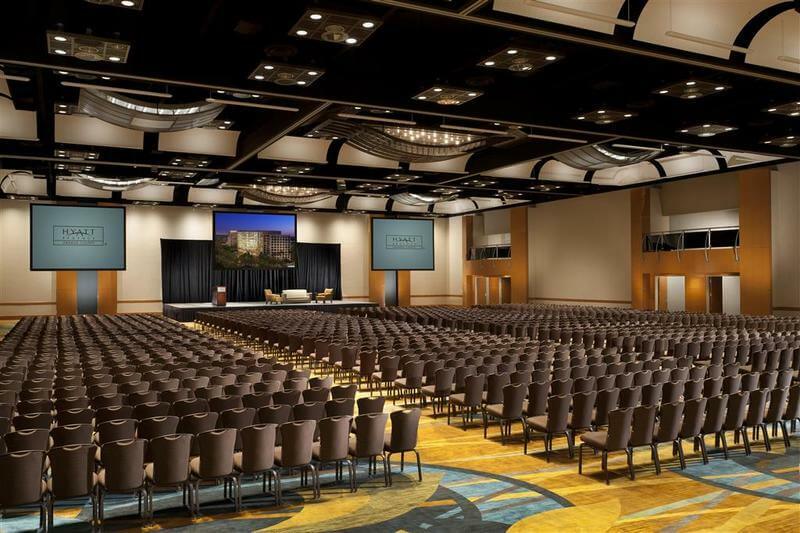 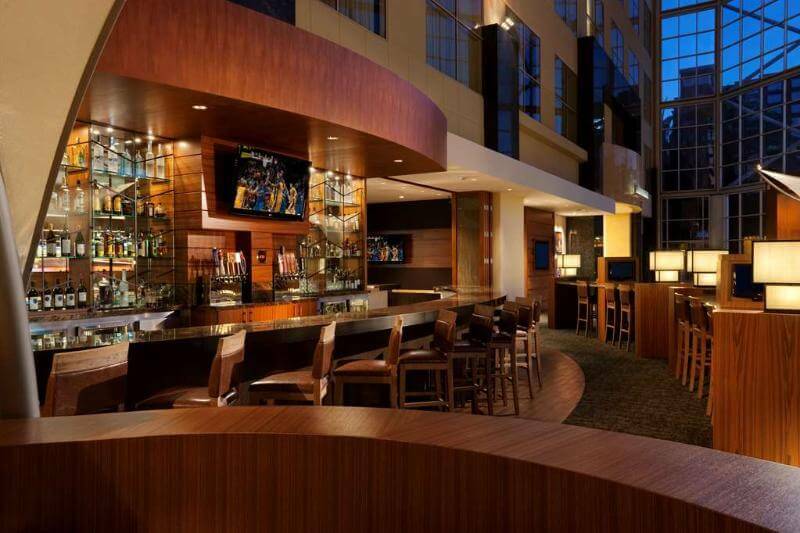 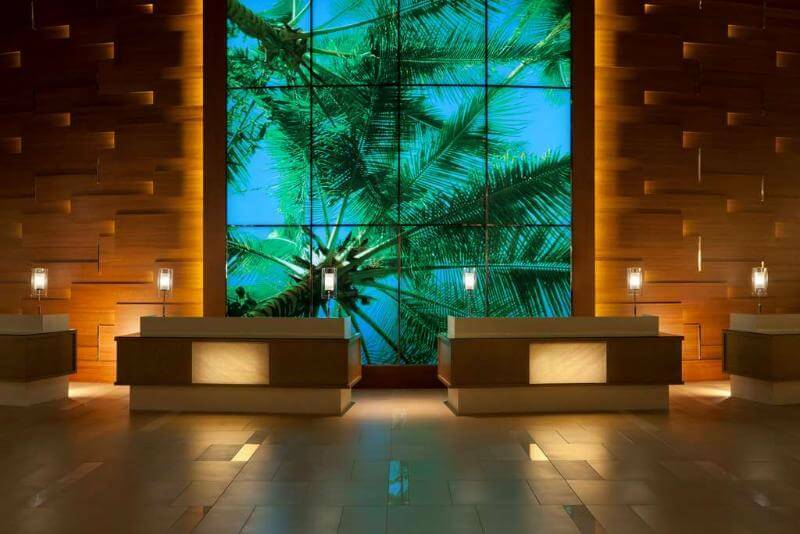 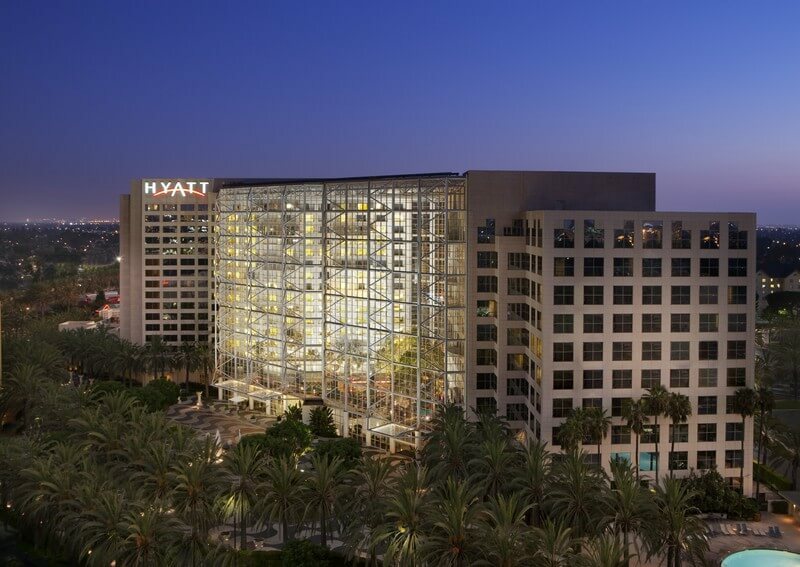 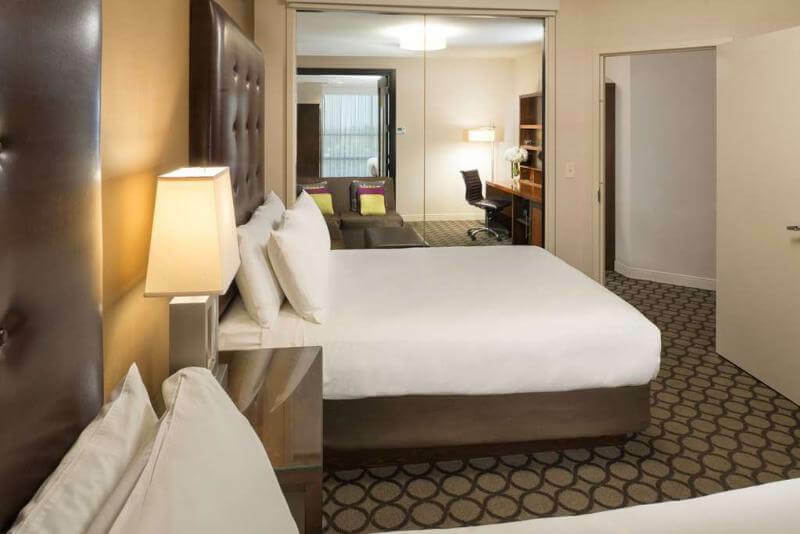 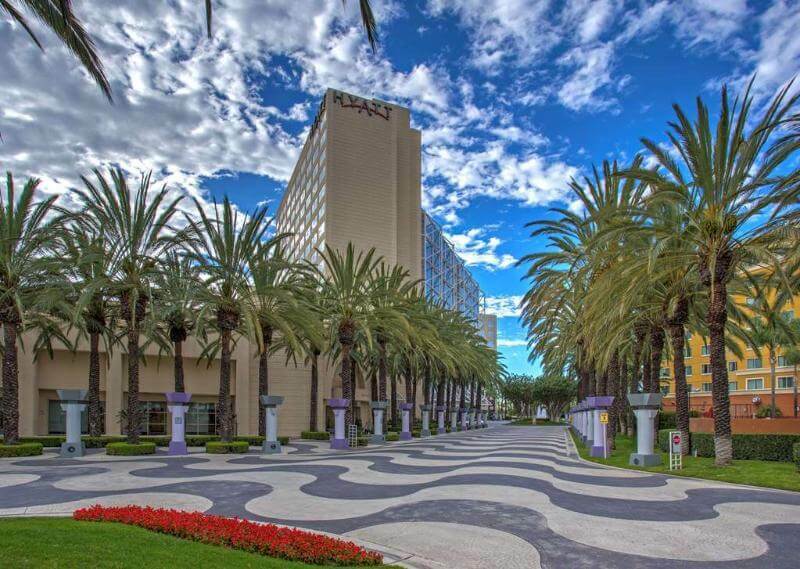 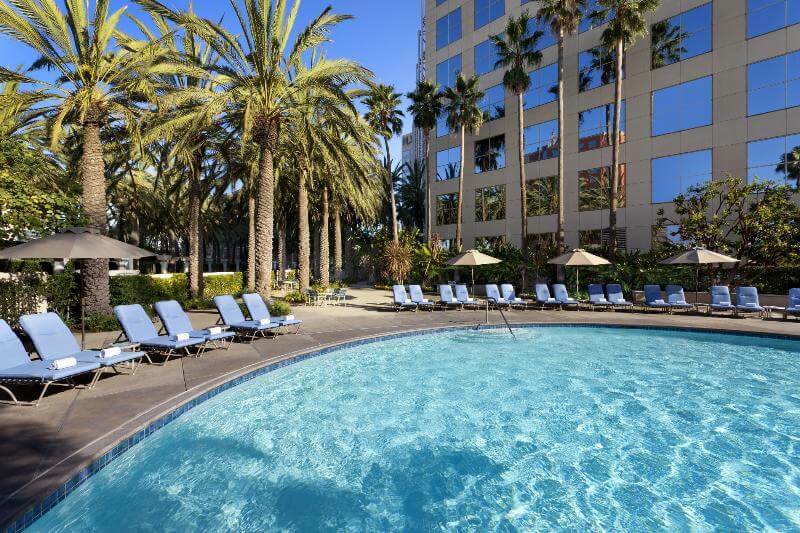 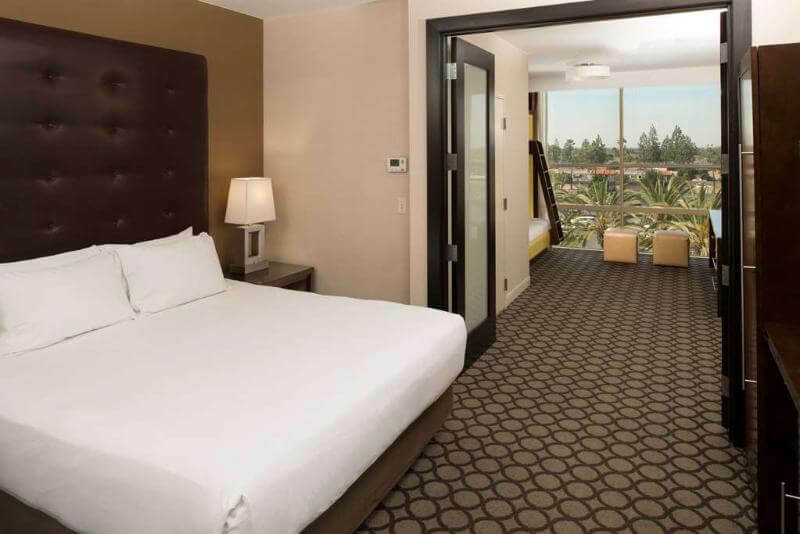 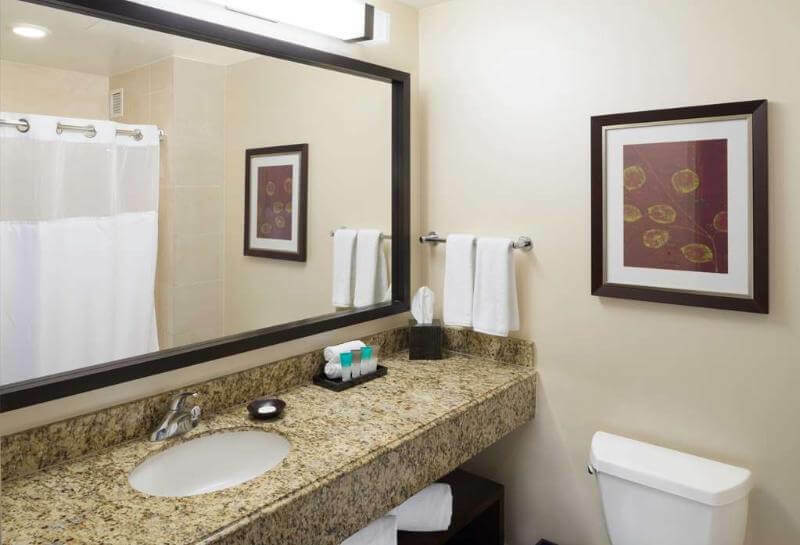 This modern city hotel boasts an excellent location near Disneyland, making it the ultimate destination for a family vacation or couples' getaway. 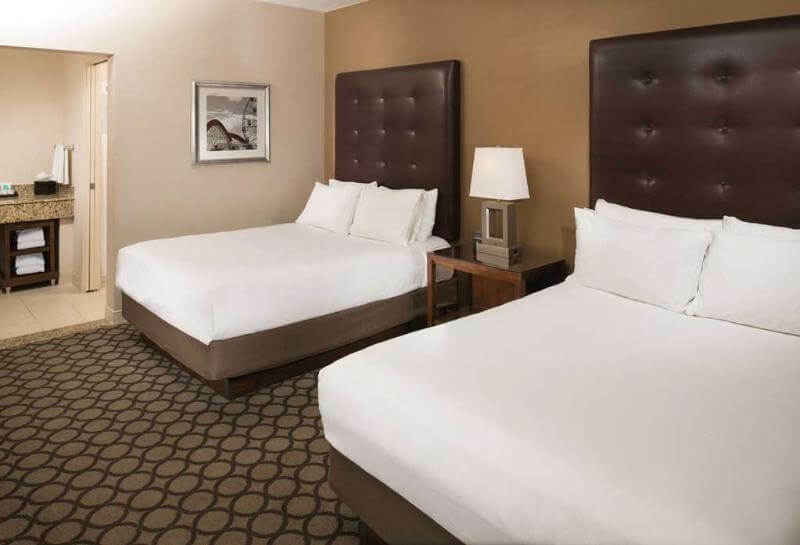 Disneyland resort and theme park, the Angel Stadium of Anaheim and shopping at The Outlets at Orange can all be reached in less than ten minutes by car while Knott's Berry Farm is just a 15-minute drive away. 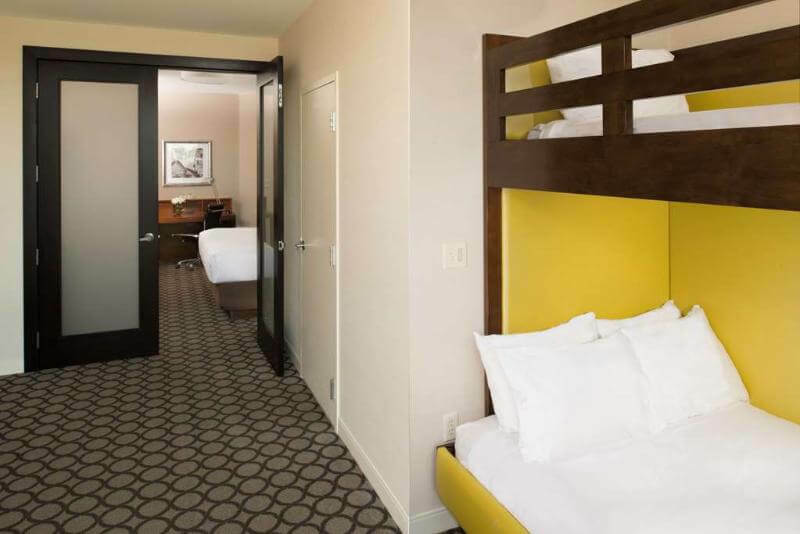 The inviting rooms are stylishly decorated and offer modern comforts such as oversized beds with pillow-top mattresses, well-lit work desks and iHome stereos. 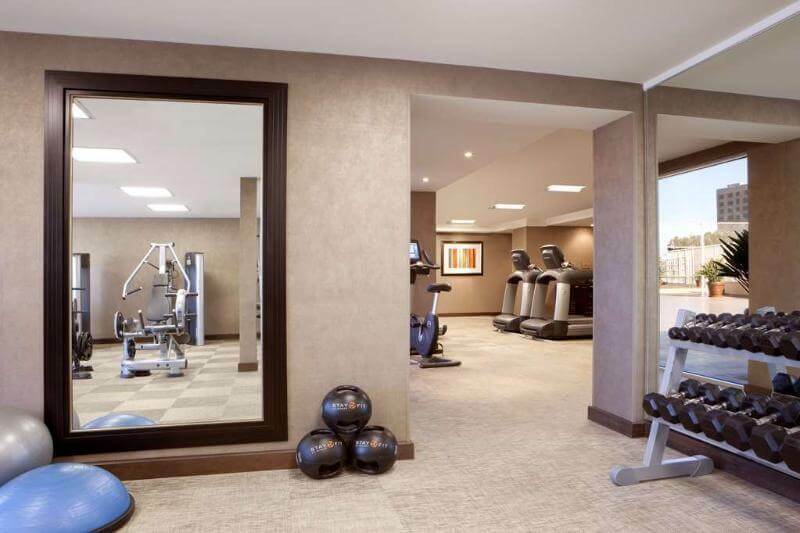 The hotel boasts two heated outdoor pools, a hot tub and a sun deck in addition to fitness facilities including a 24-hour gym and full-sized basketball and tennis courts. 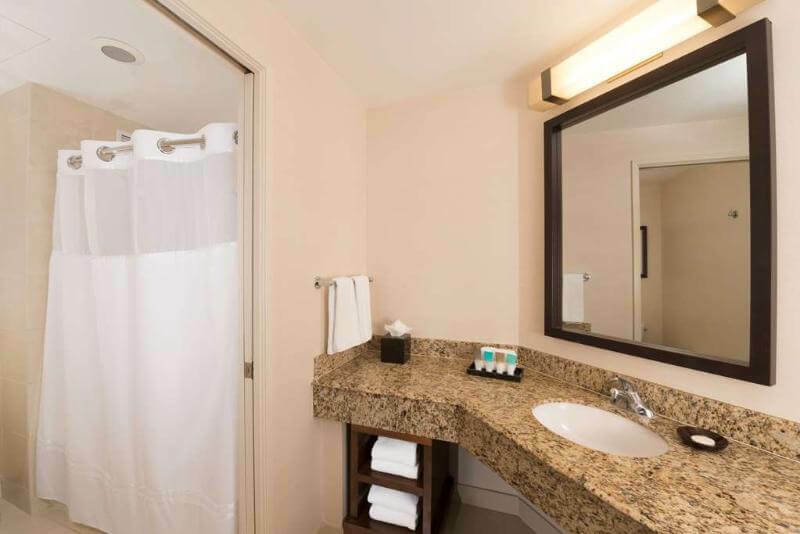 The deli offers drinks and snacks throughout the day as well as cooler bags packed with sandwiches for an enjoyable family picnic, and after a long day of theme park adventures, guests might choose to dine on Italian cuisine in the smart in-house restaurant.